After receiving government funding, Cheltenham Borough Homes commissioned us via WSP to develop a regeneration strategy for 13 of their residential sites containing 1,500 homes. This included creating a vision for the area that would involve residents and excite everyone about what the future could bring. Existing plans to build a world-leading cyber park and innovation centre plus thousands of new homes will transform West Cheltenham forever. Our masterplan vision was necessary to make sure the neighbouring area does not get left behind. 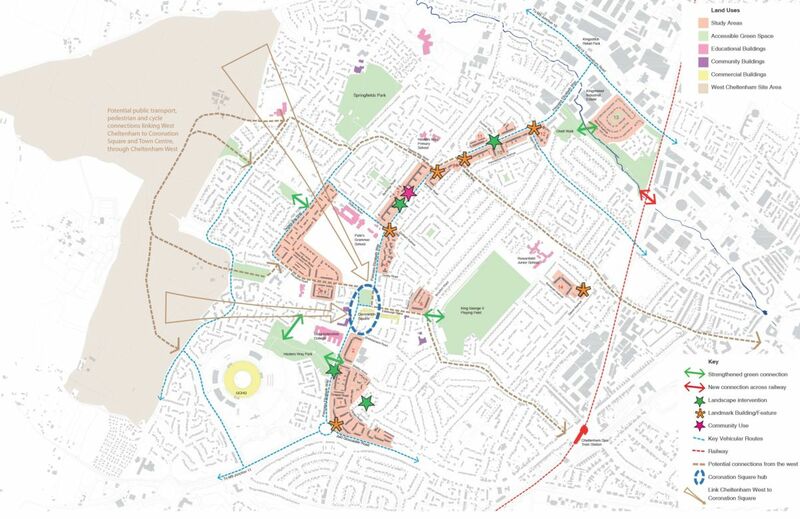 We developed a series of key vision principles following workshops with local residents, key community representatives and stakeholders to create an overall masterplan vision. Through our own research, we supported the preparation of finance appraisals of 13 study areas within the neighbourhood sites. We designed masterplans for redevelopment, refurbishment and ‘do nothing’ scenarios and viability tested these using a high-level option appraisal process. We coordinated the project board’s selection of the preferred site options. This included considering issues such as feasibility and deliverability alongside the overall project vision to establish a 20-year strategy for future projects. This project represents the chance to improve many existing buildings and to potentially provide over 400 additional mixed tenure homes. But from the start, we knew the project would go beyond just bricks and mortar. It is about the community and the people living here and the positive change development can bring. It was also about raising the quality of the environment – the parks and green spaces and community facilities available – to enable people to live more healthy and active lives. 2,000 homes were proposed as part of a phased regeneration strategy. 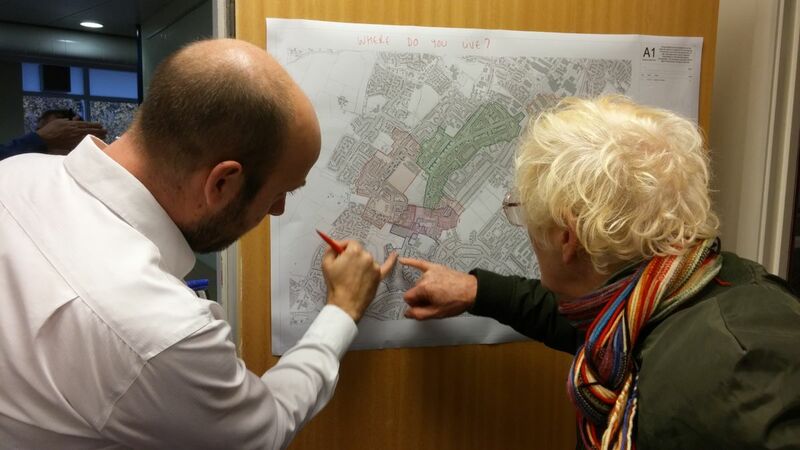 Local stakeholders and the residents gave up their time to engage with the process and they have helped to shape a future vision neighbourhood. Together, the team has developed and tested ideas to formulate a delivery strategy that could make the vision a reality. The next stage is to fully engage with residents on a site-by-site basis to find the preferred solution.